Mapex Drums is proud to introduce the Saturn V Tour Edition, an expansion of the existing Saturn V line. Built with the same Maple/Walnut Hybrid shell and SONIClear™ Bearing Edge that characterize the distinctive sound and tuning ease of Saturn V, the Tour Edition delivers modern performance with a classic look. Rack toms possess clarity and warmth while the floor toms and bass drums produce a dense punch with deep low-end. The Tour Edition is available in four classic-style wrap finishes, perfectly suited to hold up to the rigors of the road. The one up-one down core configurations have been assembled for the gigging drummer, but can be easily customized to produce a wide range of set-ups by adding drums. 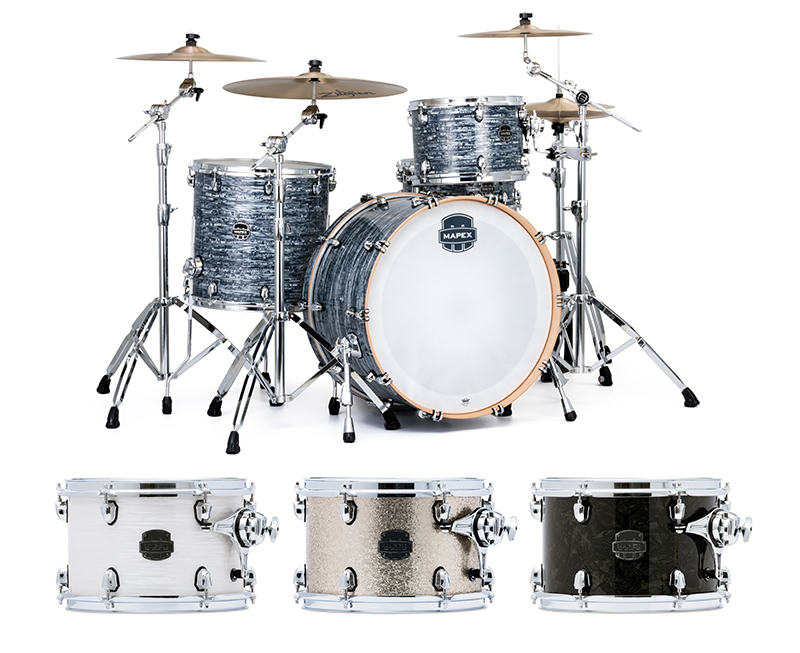 The Saturn V Tour Edition is available in 4 classic wrapped finishes: Black Strata Pearl, White Marine, Vintage Sparkle, and Black Pearl.